Synopsis: Mary gave birth to a baby. A first introduction to the Christmas story. In rhythmical verses and unique illustrations. For everyone aged 3 and up. Review: Adorable illustrations accompany whimsical rhymes. 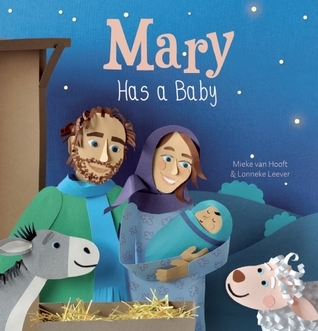 A great introduction to the Christmas story for little ones, and a fun read for the rest of us!